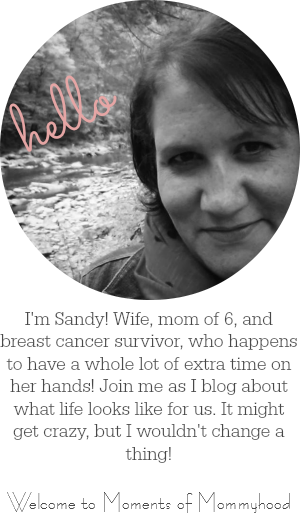 Warm and sunny days are finally upon us and we couldn't be happier! Spending evenings on the front porch with my girls and even a few extra neighborhood kids is pretty much perfect. 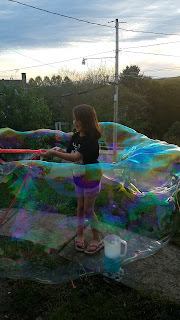 Sometimes they toss a ball around, draw with sidewalk chalk, or blow bubbles. 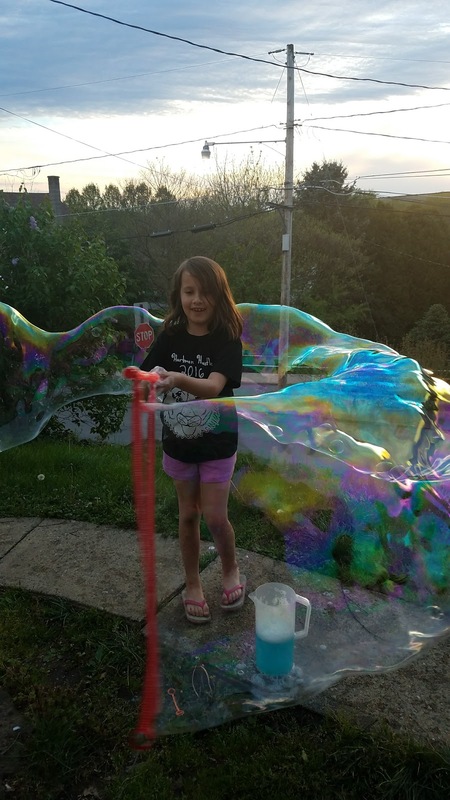 Because guys, you are never too old for bubbles! 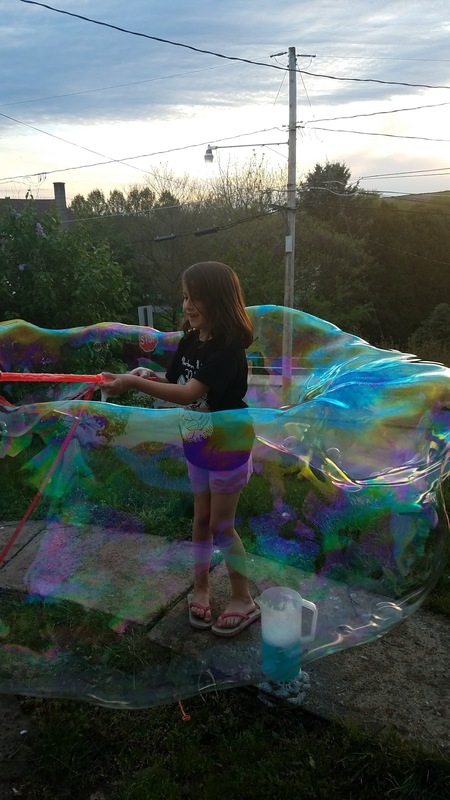 I recently bought a big bubble wand and solution for my girls. I have never seen bubbles so big and the solution really makes them last a long time. I'm telling you, this thing is AWESOME! 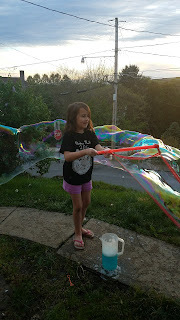 Bubble making has become a nightly thing and bonus...squeaky clean kiddos! 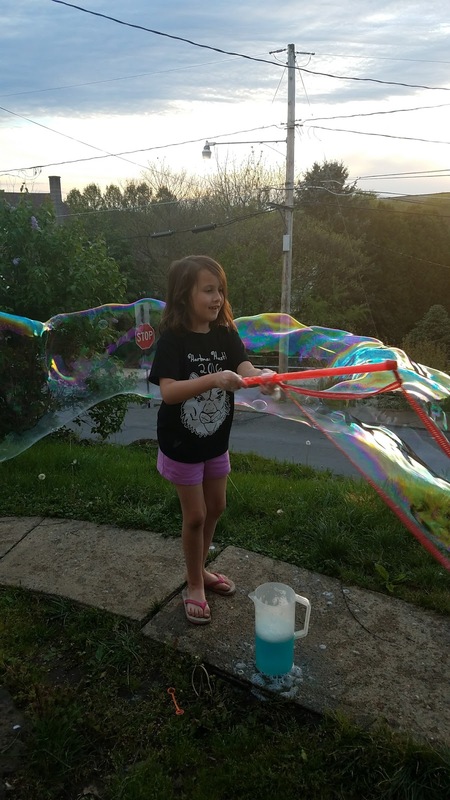 We are all so happy that summer is right around the corner and I am looking forward to many more bubble filled days to come.